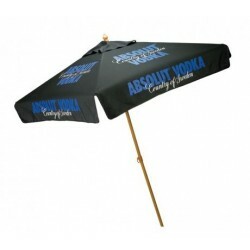 A personalized 9 ft x 8 panel personalized tulip market umbrella with crank is largely employed for promotions during summers because it can offer shade and also beautifies the surroundings. 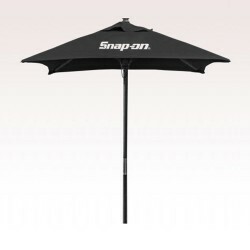 This amazing market umbrella cuts a distinct appeal with its features such as 9 ft white powder coated aluminum frame, crank, 8 panel umbrella, white aluminum ribs, 8 oz. polyester cover and UV treatment. 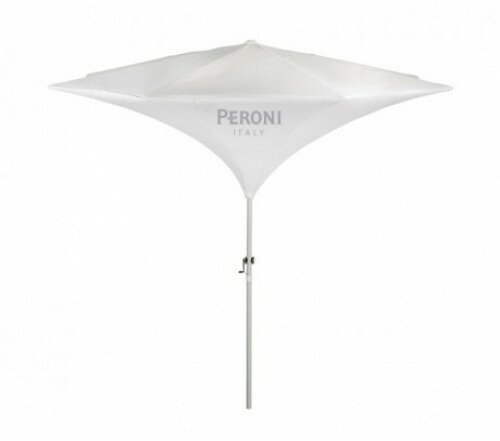 A logoed promotional 9 ft x 8 panel tulip market umbrella with crank is usually sought for promotions by food companies, health services, luxury stores, travel operators and many more to promote their services. 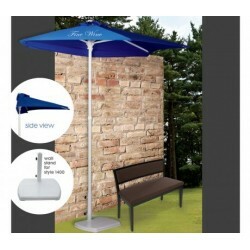 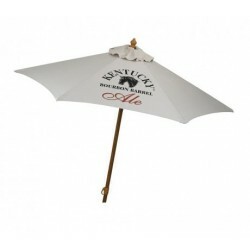 A custom 9 ft x8 panel tulip market umbrella can be preferred for personal use, too. 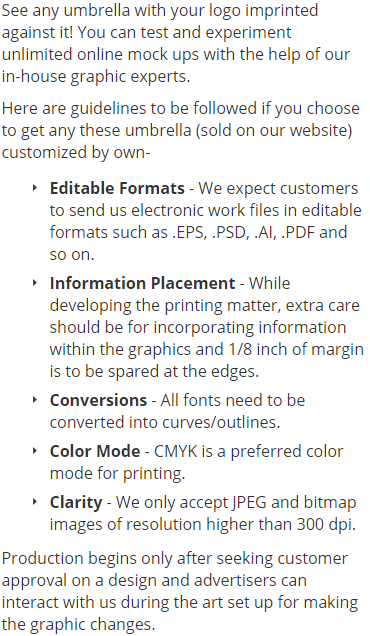 Imprint area - 19" W x 19" H.
Product Size: 66" x 7" x 6 1/2"